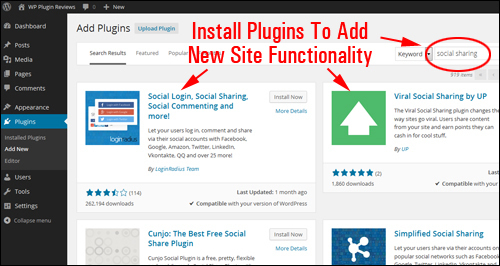 One of the most useful features of WordPress is that you can quickly and easily increase your WordPress web site’s functionality using plugins. Like most people, you probably use a device like a mobile phone. What happens when you want to access something new on your device like a new application, game or a business tool? You download and install an app! 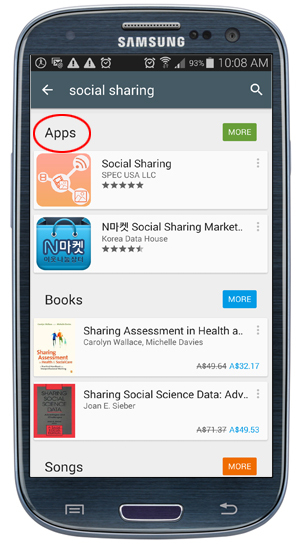 An app is a software application that is really simple and easy to install and adds new features and functionality to any mobile device. 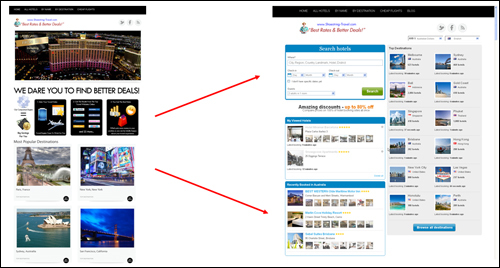 Typically, expanding the functionality of an already-built site involves additional cost. Depending on the complexity of the new features or enhancements, this could become fairly expensive, especially if it requires website development. This also applies when creating a new website or business blog. Business owners tend to spend money in advance on components they probably will never need. To reduce expenses, we suggest considering a sustainable strategy when developing a presence online presence and WP plugins are ideal for doing this. 3) Cost not one dollar more to download and install on your site? Well, that’s just what a WP plugin allows you to do! We started this article by comparing plugins with ‘apps’. Just like many apps are free to download and some apps may cost a little bit of money, so do WordPress plugins. In fact, many plugins can be installed and activated on your sites. WP plugins that you have to pay for are called Premium plugins. The good news, is that when you compare it to the cost of hiring a professional web developer to add the same functionality on your site, most Premium (i.e. “paid”) plugins are priced quite low. Also, because WordPress makes its code publicly available, any web developer can create, modify and customize any part of the code. This has allowed many third-party software developers to build more applications that plug seamlessly into the WordPress platform than you can imagine. 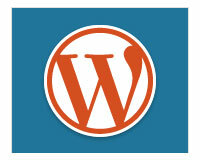 WordPress plugins let you start off with a simple site and then expand only if necessary. Plugins allow you to add almost unlimited features to any web site easily, quickly and inexpensively. 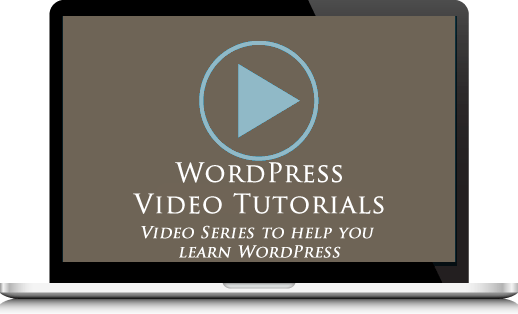 WordPress plugins give you almost unlimited expanding capabilities. Plugins allow non-technical users to own a site that they can fully manage. 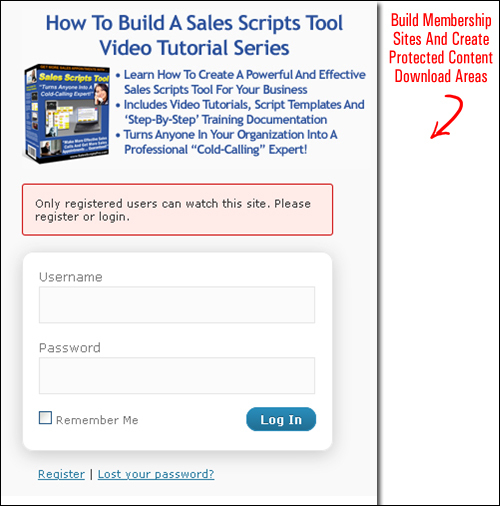 Most plugins normally work “right out of the box” and only require installation and activation to provide your site with immediate enhancements and functionality. Some plugins can be a little more advanced and could require some configuring. Plugins – Powerful, Flexible … And (Many Of Them Are) Completely FREE! 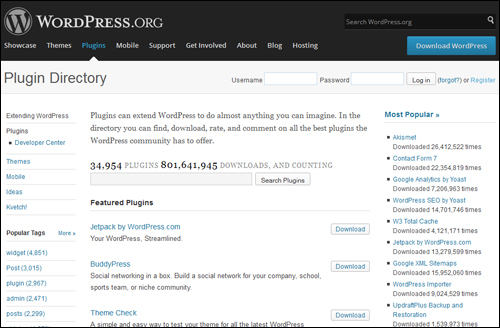 Like WP themes, thousands of great plugins are available to WordPress users … often at no cost! As previously mentioned, you will find WordPress plugins that can do almost anything you need done. Uploading Media Files – Videos, Graphics & Images, Audio, Multimedia, etc. Customer engagement – contest, live chat, currency conversion, etc. As you can clearly see, WP plugins give you practically endless possibilities. If you plan to build a website for your business, or your existing website wasn’t built with WordPress, then consider choosing WordPress in the future. In case you’re still wondering about the power and flexibility of using WordPress plugins, let me show you some practical uses of installing a plugin on your website. Post comments on your blog posts (which can turn into online discussions) using either the native WP commenting function, or integrated Facebook comments (which then get shared throughout the visitors’ Facebook pages, giving your site additional exposure). Bookmark your content on various social sites. Engage online directly with other members using forums or even set up a private online social network on your site. There are so many great WordPress plugins to choose from. Be careful not to overload your server with an excessive amount of plugins, as this will start to affect your site’s performance and site loading speed. It can also mean more maintenance issues for you resulting from potential errors. Install only the plugins you really plan to use. Delete inactive plugins from your site, as these also use server resources. 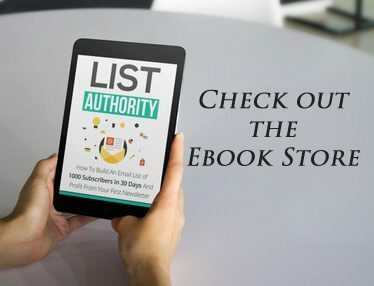 Many free plugins typically come with very little to no support from the plugin author. When considering paid plugins, we recommend that you do a little research first to understand what kind of reputation the developer has when it comes to providing support, upgrades, new features, etc. 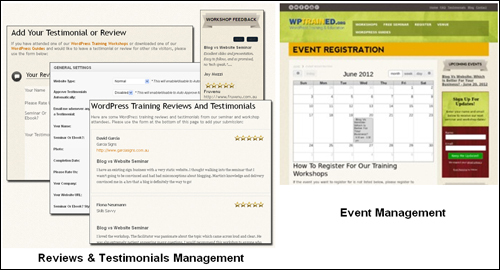 Be sure to check some of our WordPress plugin recommendations for more helpful information. If you see that an unsupported plugin has not been updated for a very long time (e.g. two or more years), then think carefully before installing it. 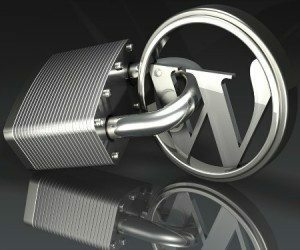 WordPress is updated often and older plugins that have not been updated can cause conflicts. Always maintain all plugins up-to-date. Outdated plugins not only can cause errors, they may also have vulnerabilities that could be exploited by hackers and malware. As you can see, plugins are an important feature of WordPress and contribute to making it the most preferred CMS in the world. Plugins also provide WordPress users with an easy, simple and inexpensive way to add new features to their website without spending thousands of dollars on outsourced web developers. If there is any functionality you need for your web site, you can guarantee that a WordPress plugin probably exists that will do just what you want it to do, and that it will either be available for FREE, or if it’s a paid plugin, that it will be surprisingly inexpensive. And, if by chance this plugin does not exist, then one can certainly be developed for your business for a reasonable price. Hopefully this information has given you a better understanding of plugins – what plugins are and how they can significantly improve your business blog. See our published posts to learn more about using plugins. Did you enjoy reading this article? Please tell us what you think below and feel free to share this post with your friends. Disclaimer: This site is not associated with WordPress or any of the WP-related products written about on this site. We may derive a financial benefit from sales of products advertised, reviewed or linked to from this site. 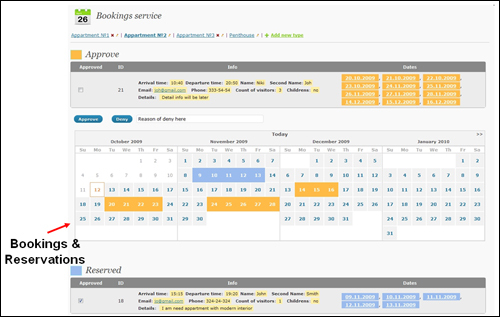 The product images and information used in this review have been supplied from the plugin’s website.